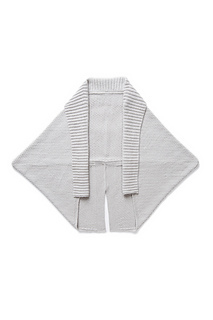 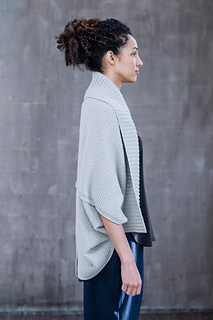 Wrap up two elegant ways in the same cocoon cardigan. 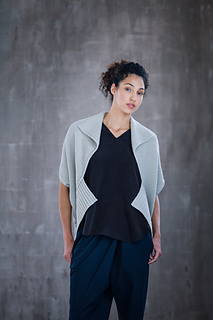 With the ribbed edge upward, Shoji features a shawl collar, three-quarter length sleeves, and a garter hem deeply split into tails at the center back. 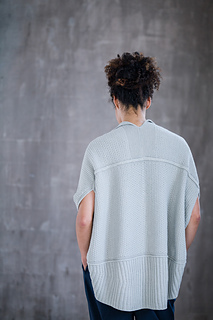 Turn it upside down and the fronts hang with an intriguing zigzag, the sleeves bare your elbows, and the ribbing curves gracefully below hip length. 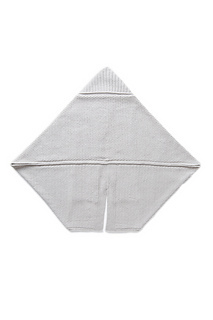 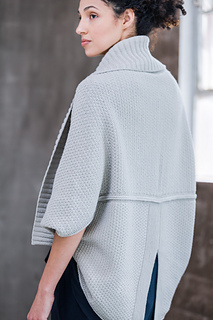 The knitting is simplicity itself: a long rectangle of pebbled texture stitch folded and sewn into the final shape, with stitches picked up for the double-ribbed collar after assembly. 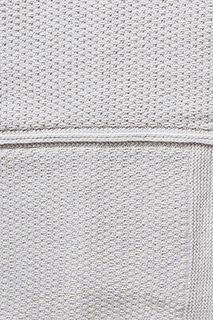 The crisp structure of Arbor throws the stitch texture into vivid relief. 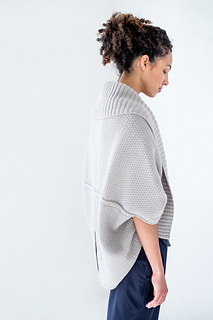 Short rows add height to the collar and create the curvilinear form shown here, but may be omitted to make this garment accessible to beginners.